The August 18th NCS Newsletter is in! 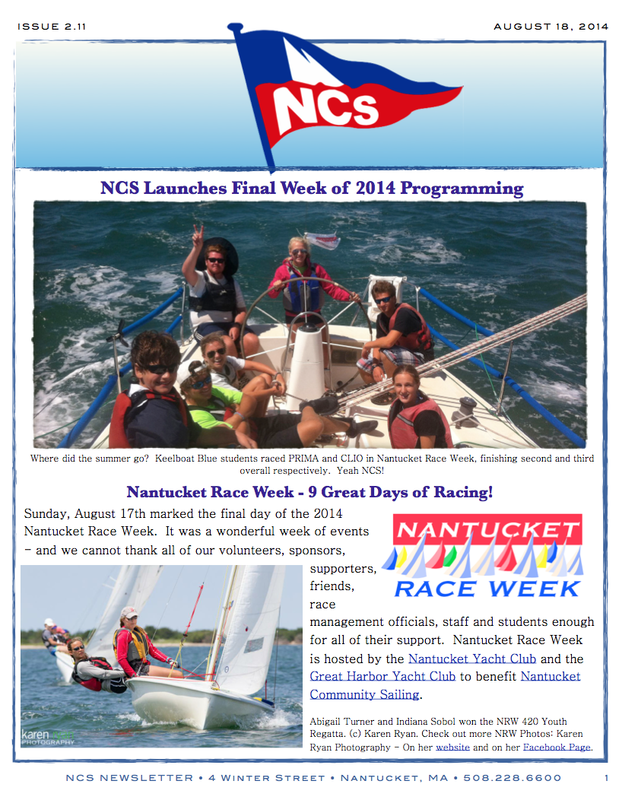 CLICK HERE to read all about what's going on at Nantucket Community Sailing this summer! Nantucket Race Week - 9 Great Days of Racing! You Can Still Get your NRW Gear! New events and happenings are taking place every day! Don't forget to follow us on Facebook and Twitter to keep up to date with all things going on at Nantucket Community Sailing!